I saved this Wedding Moment as the last because it means so much to me. To me, the vows are the most important part of the wedding. They are simple words strung together as a promise to the one you love. They are the words that I often refer back to when we're going through an ebb. I promised to respect, encourage, and forgive him. I gave him my love, and he gave me his. 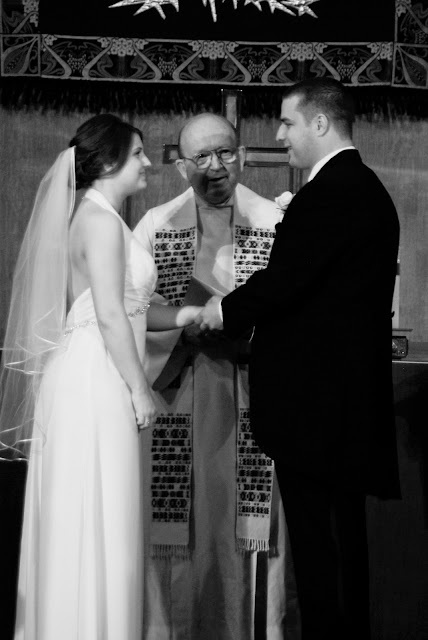 Our vows were selected for us my our Reverend. We first read them and knew that they were perfect; they were exactly the words that we wanted to say to each other with our friends and family as witnesses. They are the words that will remain ours for the rest of our lives. Amanda, I receive you as my wife; to laugh with you in joy, to grieve with you in sorrow, to grow with you in love. I promise to be your faithful husband as long as we both shall live. I promise to respect you, to encourage you, to forgive you and give hope to you. I give you my love. Trevor, I receive you as my husband; to laugh with you in joy, to grieve with you in sorrow, to grow with you in love. I promise to be your faithful wife as long as we both shall live. I promise to respect you, to encourage you, to forgive you and give hope to you. I give you my love. 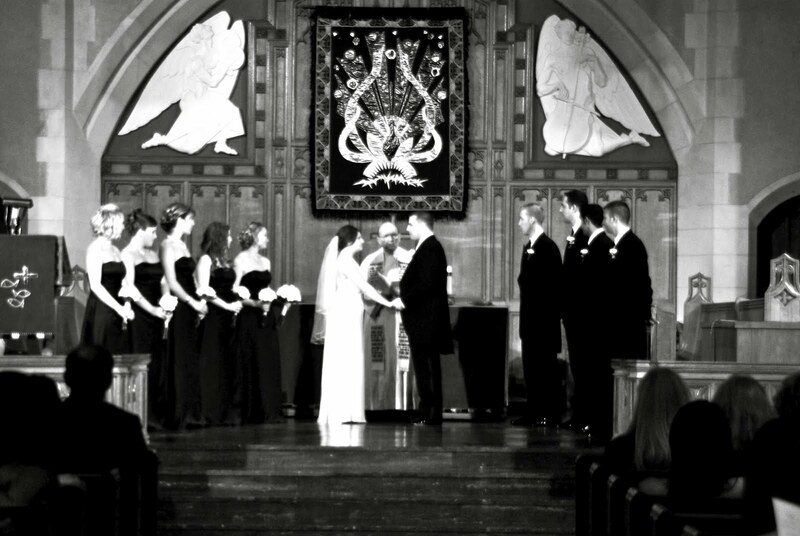 Our vows were definitely a big moment for me. We hoped using the traditional ones would keep us from crying, but I still couldn't keep it together!